Lemax Nighttime Patrol Figurine depicts a victorian era policeman with gas lamp carefully keeping the streets safe during a night duty in an old town. A delightful Lemax scene figurine who joined the Caddington Lemax collection in 2011. 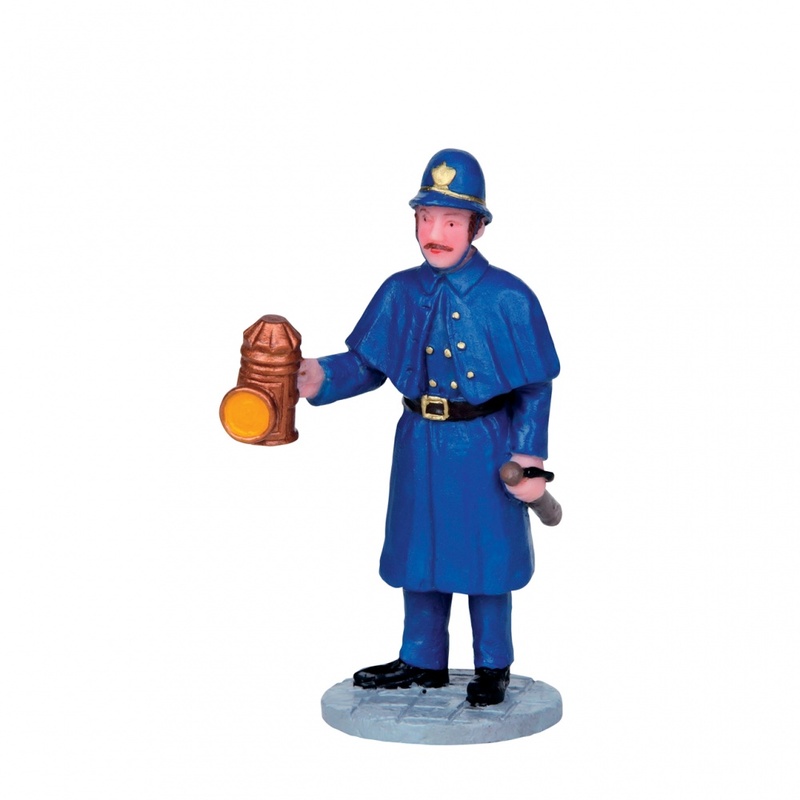 Nighttime Patrol is a single individual hand painted polyresin figurine mounted on a single street base to compliment your seasonal Lemax Caddington Village Christmas display.